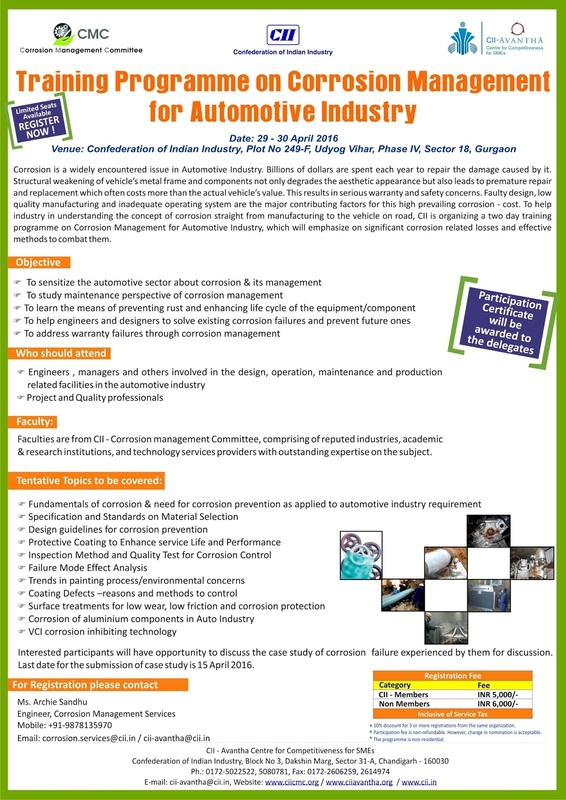 We are pleased to announce and invite your organization to participate in the Training Programme on Corrosion Management for the Automotive Industry to be held on 29th - 30th April 2016 in Gurgaon. 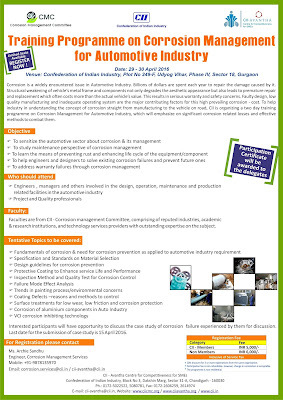 Attached are the event brochure , registration form and sponsorship matrix for your reference. Look forward to receiving nominations from your organisation.